UKFast is no stranger to big names and what better way to look forward to the New Year than with another heavyweight taking to the stage. 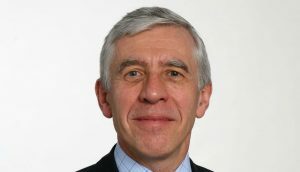 We’re excited to announce that Former Home Secretary and Leader of Parliament Jack Straw is to headline Public Sector Live 2019. The event is set to showcase experts from a range of disciplines across public sector and go in depth on key topics such as cybersecurity and how to accelerate your digital transformation with the cloud. What is Public Sector Live all about? Bringing together a series of public sector experts and technology whizzes to offer a wealth of information, Public Sector Live 2019 is set to be the event that will truly excel your organisation. Public Sector Live offers speeches from key public sector players alongside UKFast’s technical experts and from cybersecurity and ethical hacking consultancy Secarma who are on-hand throughout the day to give you up-to-the-minute tips on how to secure your critical data from attack. Mr Straw stood in office as Home Secretary from 1997 to 2001, the Foreign Secretary from 2001-2006 and was an MP for more than three decades. He is set to deliver a keynote speech on the key policy changes surrounding Brexit and the risks and opportunities presented to public sector organisations following the UK’s departure from the EU (29th March 2019). The free event takes place on the 12th February at the Churchill War Rooms in London between 9am and 12pm.